This entry was posted in News and tagged Automotive Locksmith on June 2, 2015 by Locksmith Sarasota. Looking back it’s easy to see how automobile designs and car locks have evolved over time. Compared to all of the car features available today, consumers in previous generations had to contend with either no locks or simple, easy-to-break-in designs. Security measures were limited. 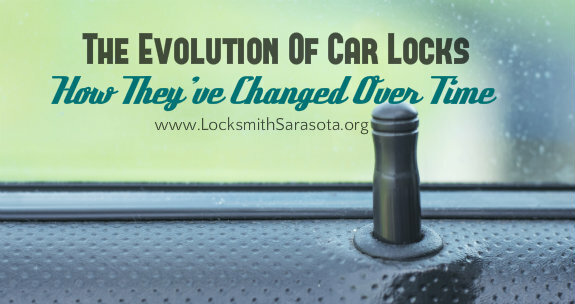 Discover how car much locks have changed over time. Over time, because of both vehicle and personal property theft, it became apparent that security needed to be taken more seriously by owners. Since that time, vehicle owners and car locksmiths have been interested in finding the most secure locking systems for vehicles to keep both automobile and personal items safe. 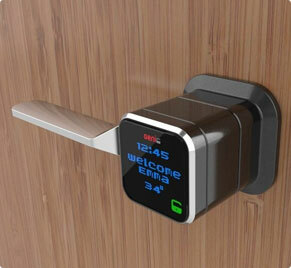 Early locks were mechanical in design; the technology to offer electronic versions to consumers was not yet available. Auto manufacturers used a particular type of key blank which could then be cut to fit any lock in their product line. The two man types of locks were pin tumblers and wafer tumblers. Pin tumbler locks have metal pins of different sizes positioned within the lock cylinder. When a key with the proper height of cuts is inserted into the lock, it raised all the pins to the correct level so that it can turn. This style of lock is similar to the pin tumbler, but it uses flat, single-piece wafers of different sizes. The proper sized key pushes the wafers into the correct position, which allows the lock to be turned. Mechanical locks like these can be opened with a tool called a slim jim. Car locksmiths carry them to help customers who have locked their keys in their car. It’s not a good idea to attempt to enter your vehicle on your own with a bent clothes hanger or other device; you can end up causing quite extensive damage to your vehicle. Our automotive locksmiths have the training and experience to do the job properly. This is one instance where you are better off leaving it to a professional. Most newer vehicles are outfitted with electronic locks. Many models still have a keyed entry, and number pads and key fobs are often used to open the door locks. Modern keys now carry a computer chip, which prevents a fake key from being used to gain access to the vehicle. Automotive locksmiths are now required to undergo specialized training to keep their skills current due to changes in car lock technology. Locksmith Sarasota offers fast, friendly mobile automobile service if you’ve been locked out of your car. We also provide residential and commercial locksmith services. Follow and like us on Facebook to see interesting news and posts!